But they're awesome! Because first, the IRS gives both education tax credits and education tax deductions, both of which can help you fund college (check out this link). And second, scholarship money that goes directly to fund your tuition, fees, and other required expenses is not taxed! This is very different from your job, where you lose a lot of money to taxes. However, there are limitations on this, so again, go to the IRS for more specifics, starting here). 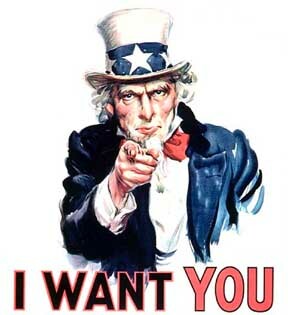 He wants you. And your money. But thankfully, not as much when you fund college through scholarships! 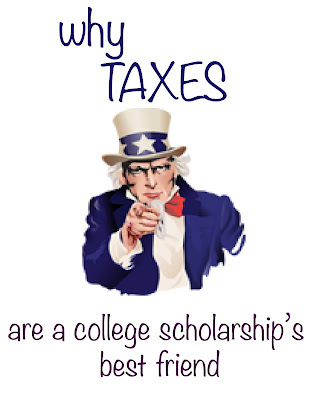 The important thing is to look through the IRS site if you have any questions -- links like "Scholarship and Fellowship Grants" will be extremely helpful to you. Find a mentor, or even a personal accountant, who can help you through this process. It might be a bit of a headache at first, but it's worth it, because you're funding college through scholarships!